Losing a player for personal reasons always has an effect on a team. 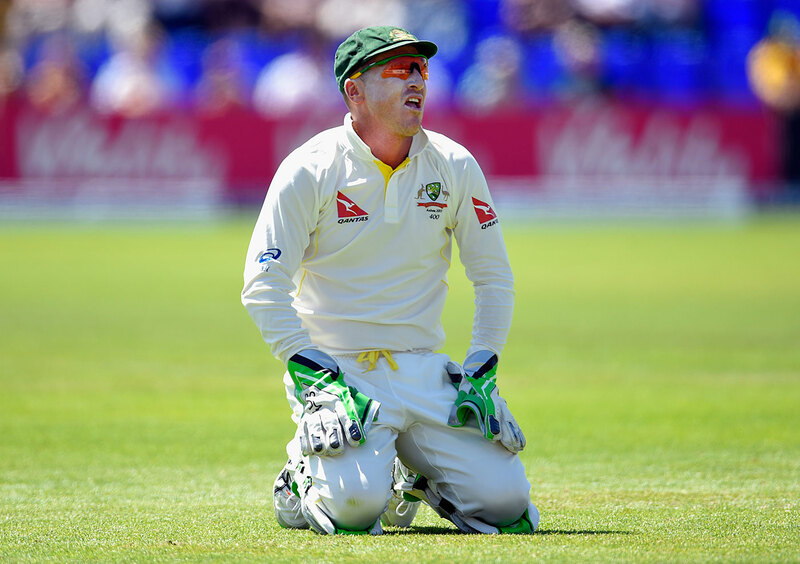 If Brad Haddin was injured or dropped he would simply be out of the side, but events leading into the Lord's Test are different. It will certainly hit home with the players and I'm sure they would have discussed it all at their usual team meeting held on Tuesday night. Thinking back to Shane Warne's suspension from the 2003 World Cup squad, another time when we lost a player in difficult circumstances before a match, the 24 to 48 hours before our opening fixture against Pakistan were critical to dealing with things and allowing the players to process the fact that one of our senior men was not going to be out there, and why that was the case. It was against that backdrop we saw Andrew Symonds step up. Even so, it will be a very different experience for the Australian side walking out for an Ashes contest without Hadds there. His record in all matches against England is phenomenal, not least during the most recent series in Australia. He was at the crease for around half of the total runs Australia made during the series, the sort of contribution no one in the dressing room can forget in a hurry. Hadds may have had a difficult match in Cardiff, but he's exactly the sort of character you want to have in the team during an Ashes series. A great player, a great competitor, a great team-mate, and someone who will do anything that is required for the side. He will be missed not just for his skills, but also for his character, and every player will be feeling the fact that Hadds is unable to get himself right to be out there. Things have certainly changed for Australia since the week before the first Test, losing Ryan Harris and then their first meeting with England by a bigger margin than anyone expected. It was a little bit like the 1997 tour when Mike Atherton's team thrashed us in the first Test at Edgbaston. Mark Taylor was in the midst of his major form slump and we were all looking towards our captain to find the runs he needed. While Tubby was able to make a hundred in the second innings, the batting after him folded a little too easily and England found themselves winners by nine wickets with plenty of time to spare. Back then I was a reserve batsman on tour, and can remember we did not spend too much time talking about our troubles in meetings. Instead we trained hard, aimed to improve on the areas that we struggled in, and backed ourselves to prove to be the better team over the remaining five Tests. We went on to win and I was back in the team by the end of the series, so what started as a very difficult tour turned into a happy and successful one. This time around I can only hope that Michael Clarke's team don't put too much pressure on themselves to turn things around, because it won't take much to do it. After a loss in an Ashes tour you need to be releasing the handbrakes more than trying to put the foot on the accelerator - England set a good example with their own relaxed and confident play. No one did this better than Joe Root, who put together a terrific hundred on the opening day of the series and played with the kind of freedom that makes the game such a pleasure to watch. Listening to him speak after, I was struck by how he felt he was simply playing his natural game to hit anything remotely loose to the boundary. In the Australian side the likes of David Warner and Steven Smith can also play that way, if they are feeling relaxed and confident enough to do it. At times during the Cardiff Test I felt as though some of the Australian players were hanging on so tight that the whole thing meant too much. Everyone in the squad wants to win over here for the first time in 14 years so badly - some on their last Ashes tours - it was likely they were at times just trying a little too hard to succeed. In that environment I would be trying to lighten the mood as much as possible. Fortunately for Australia, Darren Lehmann is the sort of coach who has it in him to do that. He is not one for panic, and the preparation for Lord's will be kept as similar as possible to that for Cardiff, with the underlying expectation that the team will handle match situations better a second time around. Boof does not mind mistakes being made in his team, so long as they don't repeat themselves too often. One man I am expecting to see more and better from at Lord's is Mitchell Johnson. He did not bowl that badly at Cardiff, and improved as the game went on. Coming back to Lord's, where he struggled in 2009, will be a point of unfinished business for Mitch, and a chance to set things right at the home of cricket. Six years ago his problems were less to do with stories about his personal life than a lack of belief in his own technique. Because he wasn't in control of his bowling action, he could never be in control of his mind. He was always fighting himself with his action that game, not trusting what he was doing. Nowadays Mitch is in far more control of his action, plus a lot calmer and in control on the mental side. He will accept he could have had a better game in Cardiff and will be looking to rectify things here. His body and mind are now much more in sync for him to do so.